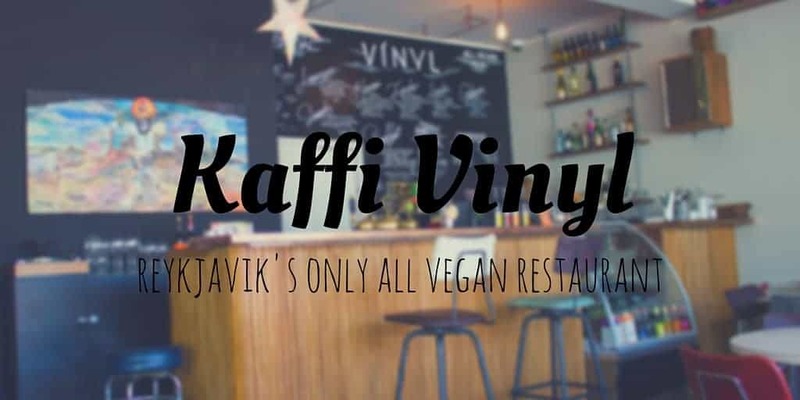 Reykjavik finally has a 100% vegan restaurant, and it’s called Kaffi Vinyl. 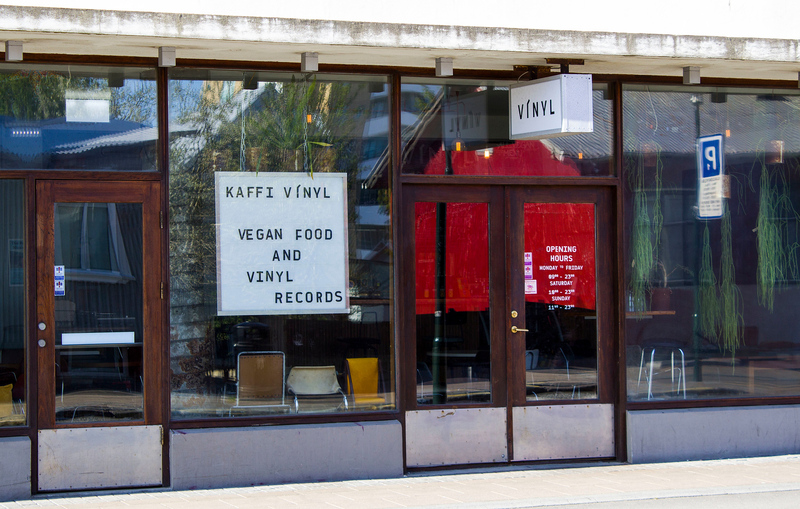 When we traveled to Reykjavik, one of the first (and only) places we dined at was Kaffi Vinyl. 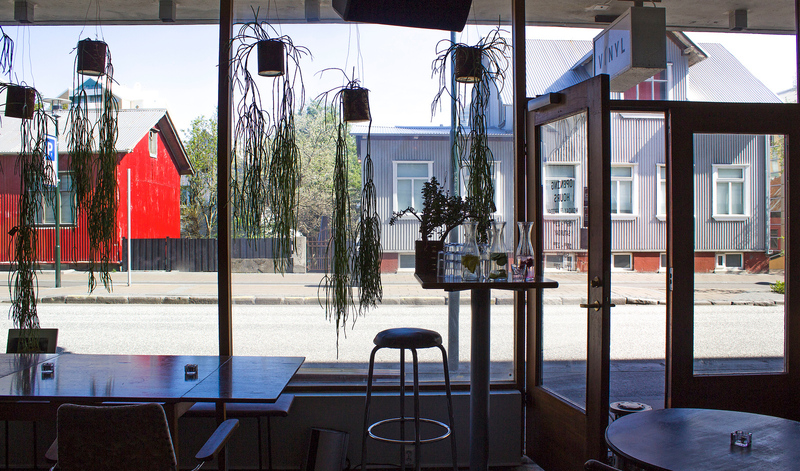 Naturally, we gravitated towards Reykjavik’s only all vegan restaurant. 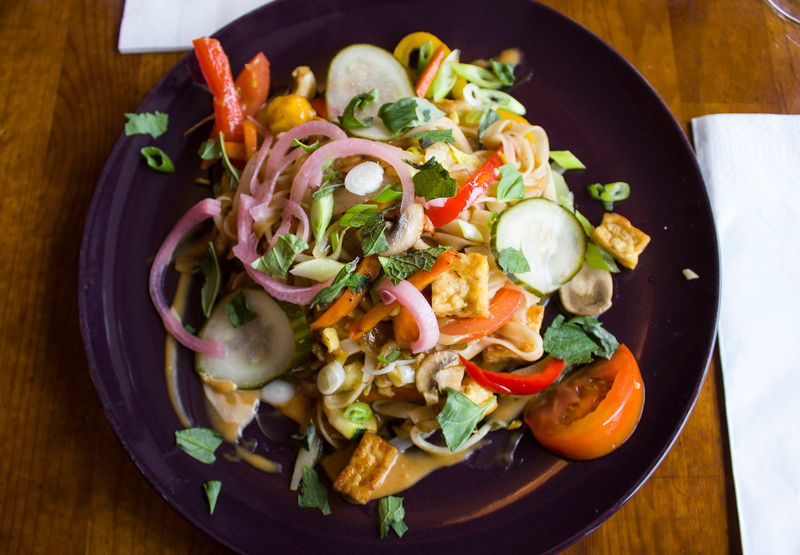 Reykjavik is very vegan-friendly, with many restaurants incorporating vegetarian dishes or at least one vegan meal on their menus. 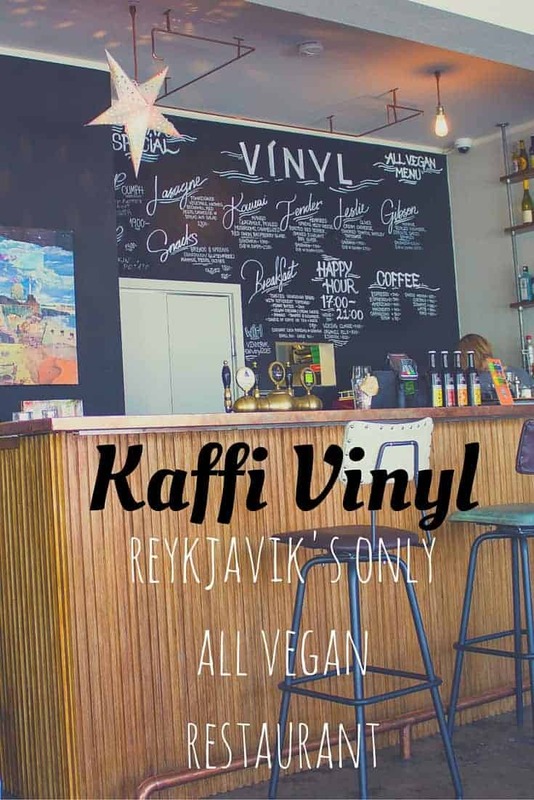 However, Kaffi Vinyl is the only completely vegan spot in town, and we decided to check it out. We did not regret this decision. Our flight to Iceland on WOW Air arrived very early in the morning at 4:30am. 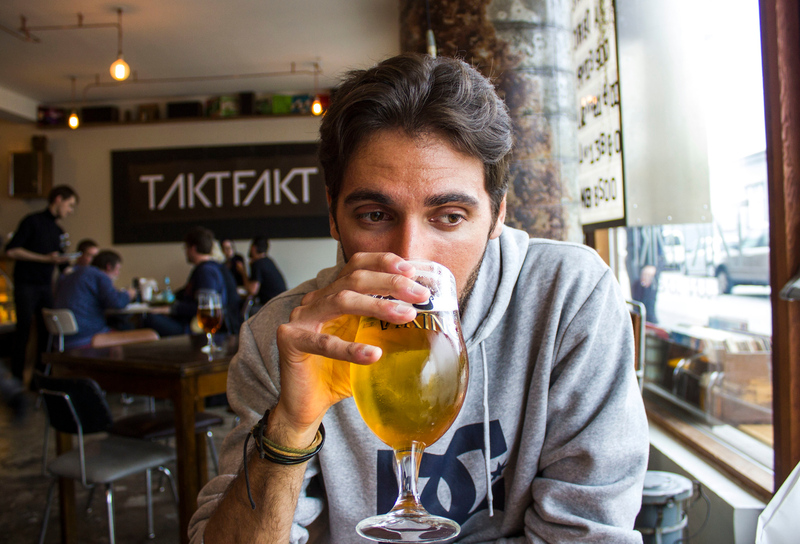 As our apartment wasn’t ready until the early afternoon, we wandered around downtown Reykjavik and tried to stay awake. We were both a bit out of sorts. We changed time zones, stayed up all night, and hadn’t eaten very much food besides granola bars and snacks. Thankfully, Kaffi Vinyl was open for business and we ate an early lunch there. 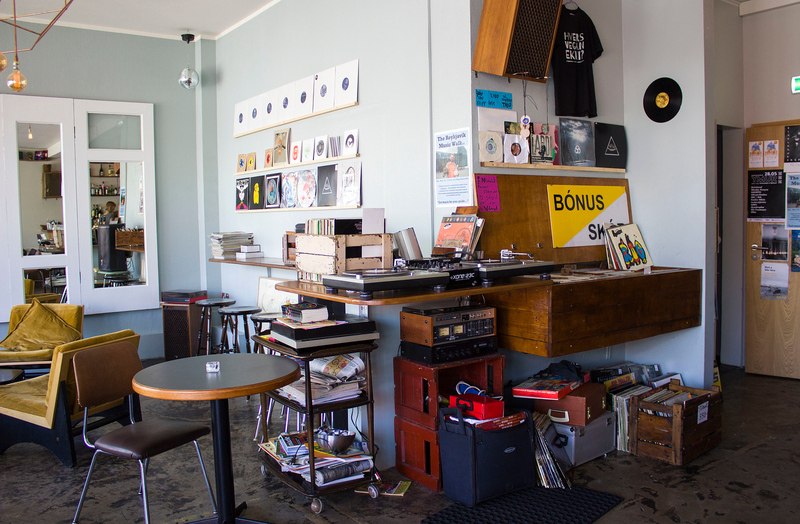 Kaffi Vinyl is open from 9:00am – 11:00pm on weekdays, and 10:00am – 11:00pm on weekends. 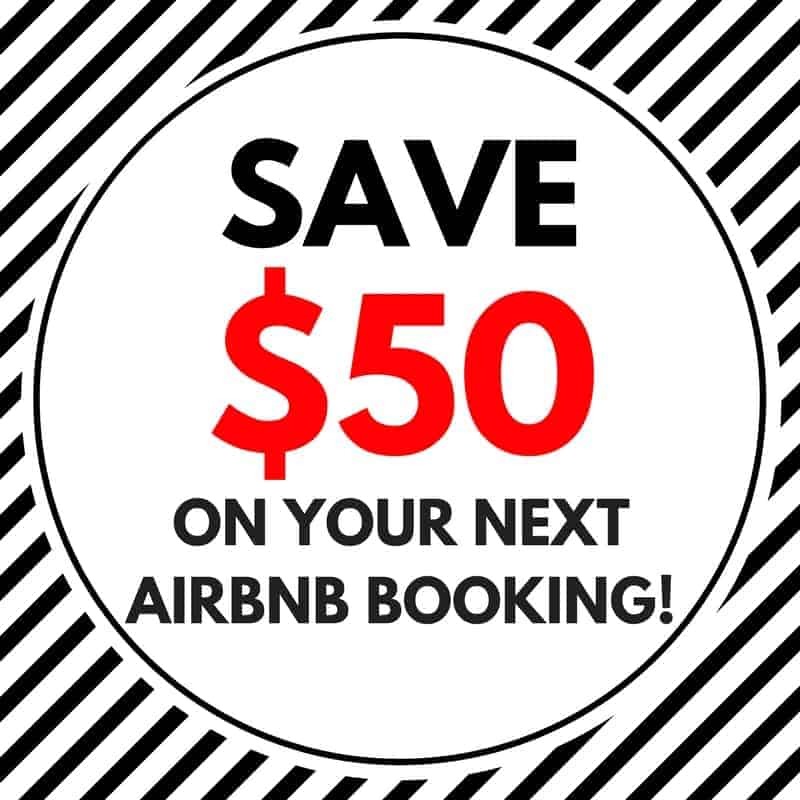 Their hours are really convenient for anyone arriving early or late to the city. 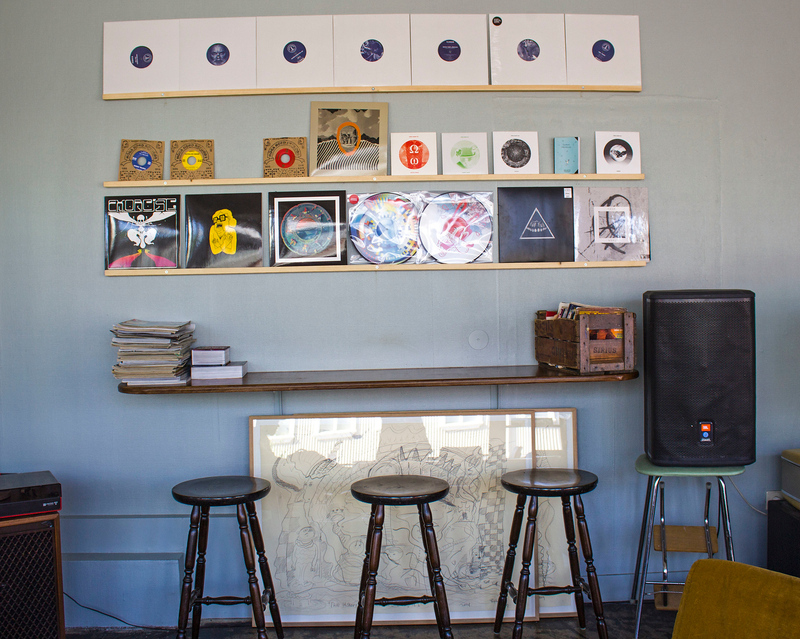 It’s not only a vegan cafe – it’s also a small record store. 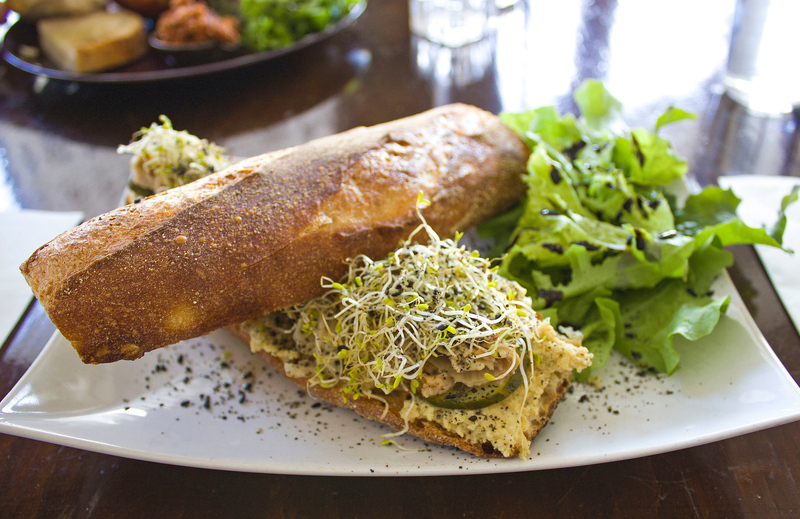 The restaurant has a hip vibe that felt a bit like going to a friend’s apartment. Plants hang down from the windows. The tables and chairs are retro and mismatched, likely collected and rescued from vintage shops. Stacks of vinyl records in milk crates beg to be played. There are a few record players where you can listen to the records before you buy them. The music ranges from indie rock to electronic, classic to modern. I recognized much of it, from German krautrock veterans, Neu!, to indie darlings like Arcade Fire and The Raveonettes. The music gently washed into the background, combining with the murmurs of those dining there. We were warmly greeted upon our arrival. I’m sure we looked pretty tired and disheveled. The rotating menu options are posted on a chalkboard wall behind the counter. There are a few beers available on tap or by the bottle, with daily drink and happy hour specials. Vegan desserts graced the glass shelves at the bar, and you can pair them with soy lattes or various coffee selections. 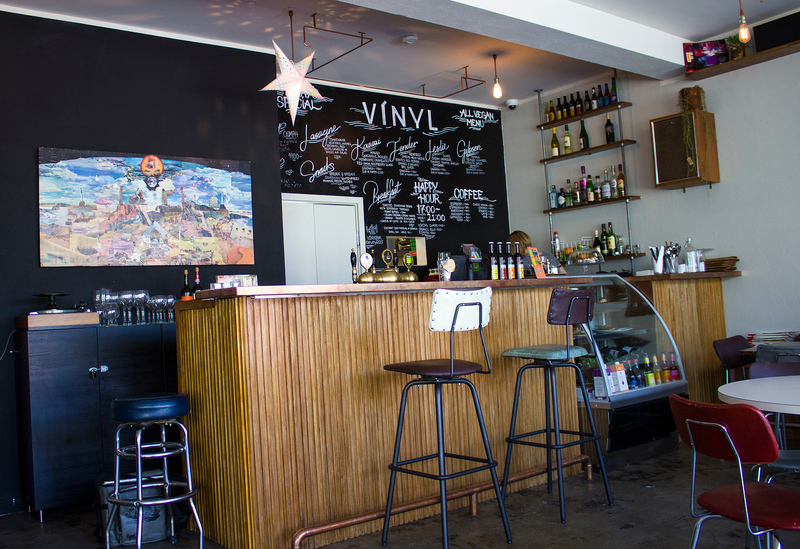 We loved Kaffi Vinyl so much that we dined there twice. We ate there upon our early arrival to Reykjavik. Justin and I also decided to dine there again on our last evening in Reykjavik before flying back home to Toronto. We spent one last night in Reykjavik before our flight the next afternoon. Our last meal in Iceland was at Kaffi Vinyl. We loved it so much, that we had to eat there one more time. The food was different both times that we ate there, with a couple of favorites reappearing on the menu board. 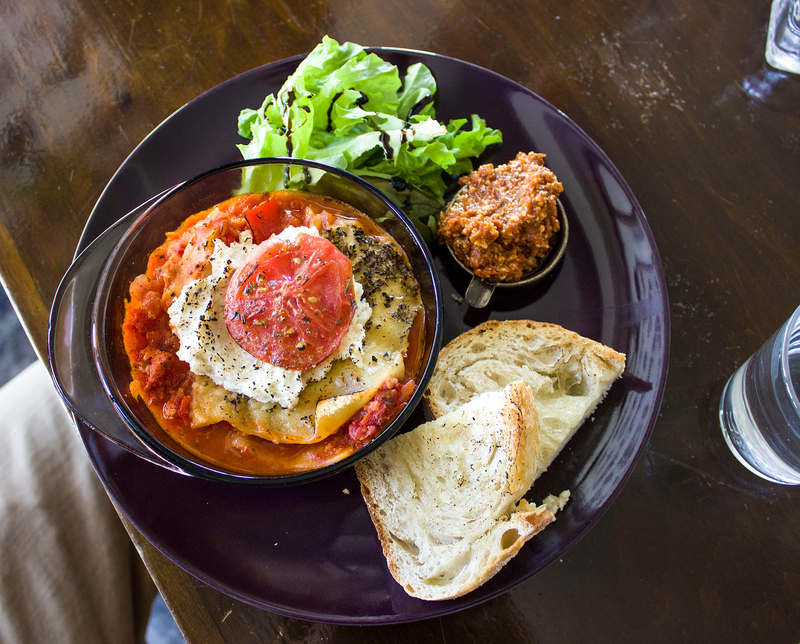 For lunch on our first day, Justin ordered the Lasagne (tomato sauce, vegetable, nutmeg bechamel, red pesto, cashew cheese, with bread and salad), and I ordered the Gibson sandwich (hummus, pickled cucumber, sprouts, garlic gomasio, with oumph). Oumph is their vegan meat substitution that can be added to many meals. 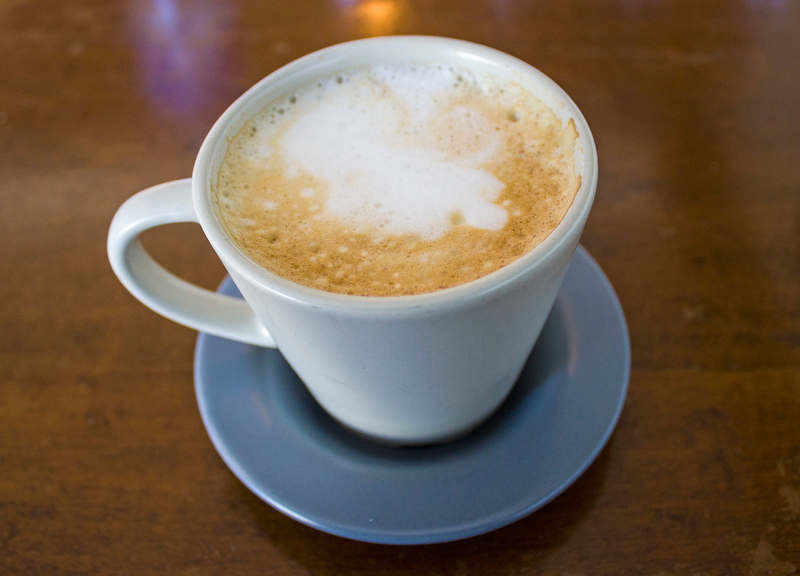 After my first meal there, I enjoyed a soy cappuccino. There aren’t too many places in Iceland where you can enjoy a coffee with plant-based milk, so I took full advantage of the situation. We returned to Kaffi Vinyl for dinner at the end of our Iceland trip. 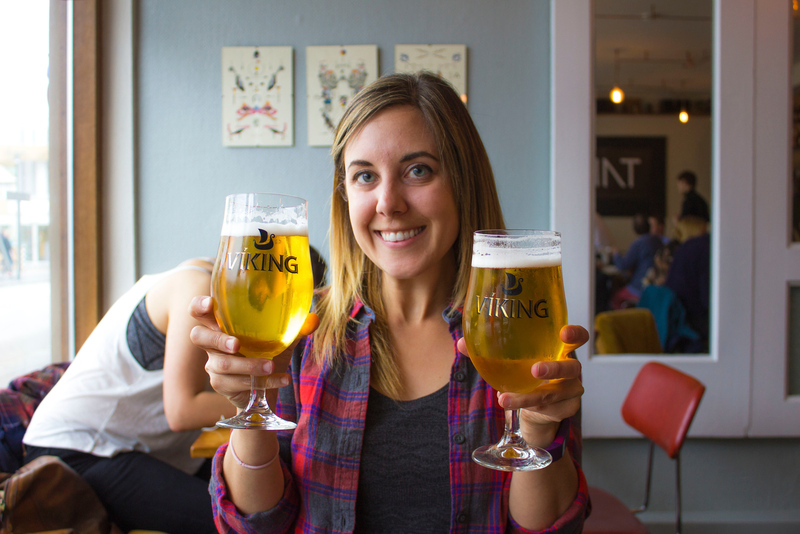 They were having a happy hour with beer specials, so each enjoyed a pint of Viking Organic. For our meal, I ordered the Tama Thai Noodles (vegetables, cashew nuts, crispy tofu), and Justin got the Lone Star (BBQ-pulled oumph sandwich) – the vegan version of a pulled pork sandwich. 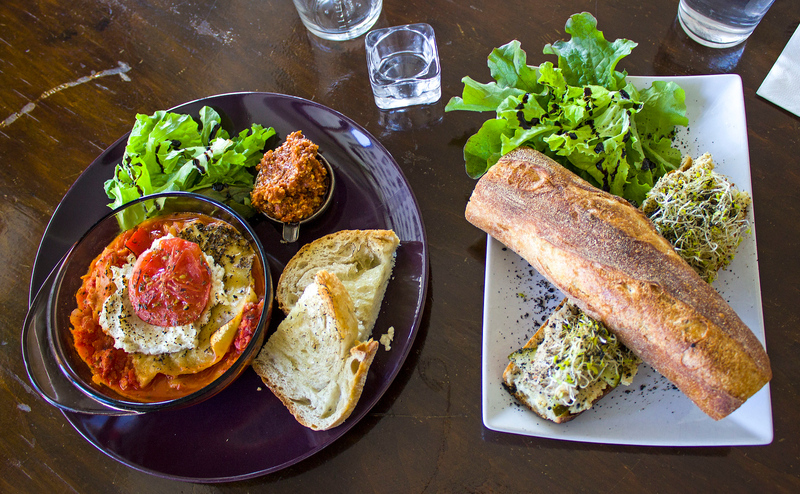 Every meal we enjoyed at Kaffi Vinyl was bursting with delicious flavor. Each dish was made with love and care. 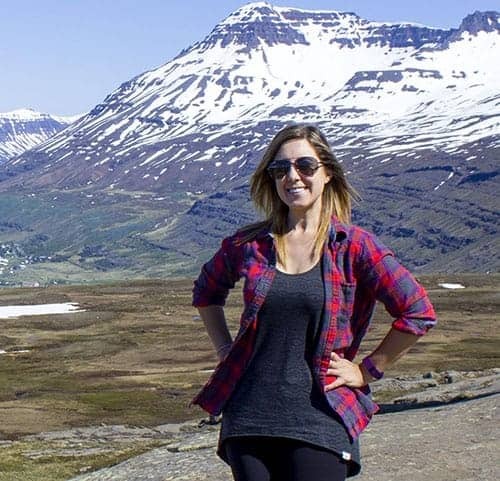 We highly recommend that you check it out when you travel to Reykjavik. This time, we couldn’t resist bring a dessert back to our apartment with us. 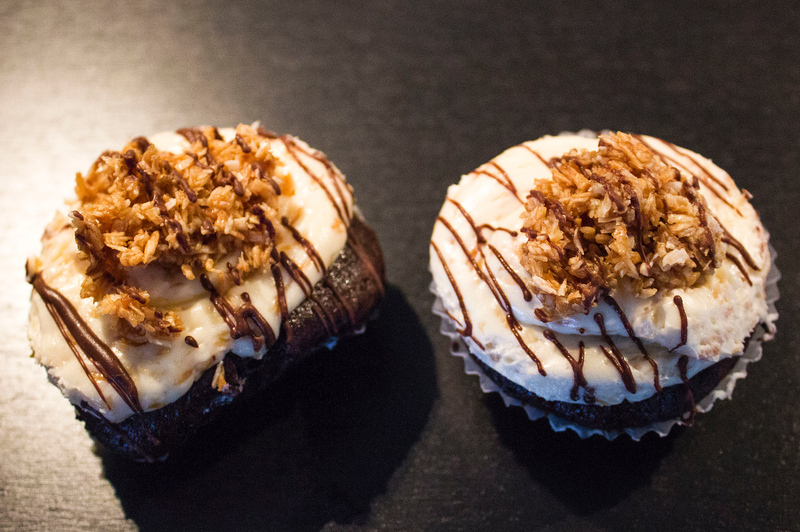 I’m not sure what these desserts are officially called, but they tasted like a rich chocolate coconut cupcake. Yum! Sounds like a wonderful restaurant. Wish I had known about it. Just got back from Iceland a week ago. Very difficult to find places to eat with all of my dietary restrictions . I discovered GLO the day before we left. Ate there twice. Excellent food. Fun, funky and delicious meets all my needs, and if we should travel there with our vegetarian daughter, even better. this estaurant seems really cozy and the food looks amazing in the pictures! 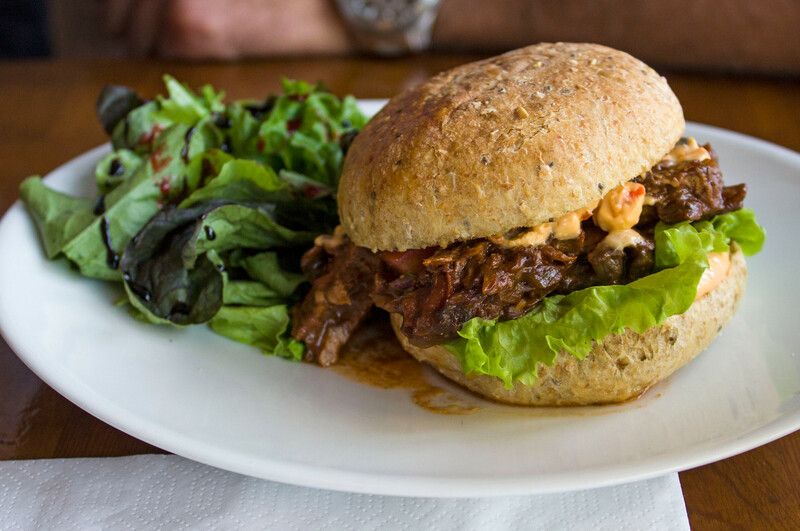 Vegan + Vinyl – That’s pretty darn awesome! And the food looks absolutely delicious! YES! awesome writeup. must go! iam planning on visiting iceland soon, do you remember the prices of this restaurant? Not anymore. They went nuts to add meat dishes. I heard about this today. I’m totally gutted to hear that they’ve added meat dishes. I’ll be updating the blog post soon to reflect this. Currently traveling in Scotland without much free time to update, but I will as soon as I can. Thanks for stopping by to let me know.